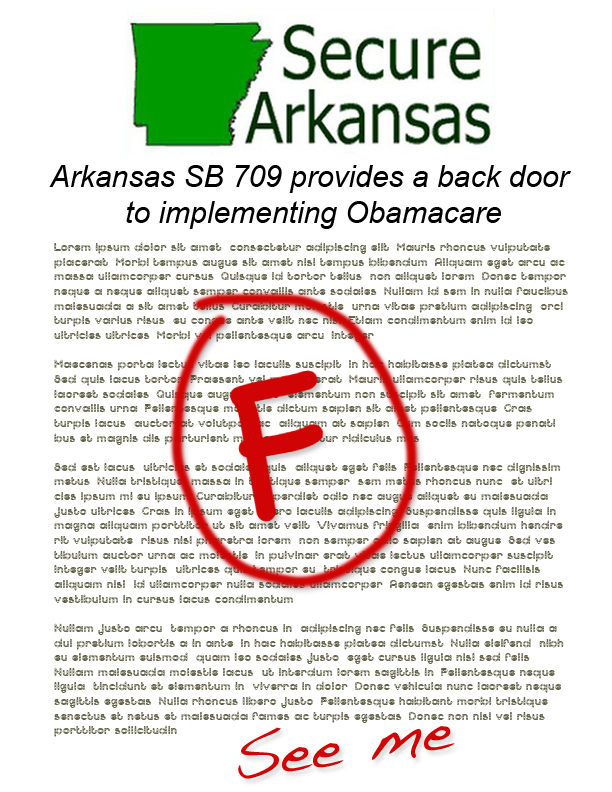 I was quite startled to see Secure Arkansas’s latest public announcement — which explained that a bill championed by Senator Missy Irvin in 2011, SB 709, “provides a back door to implementing Obamacare.” Secure Arkansas is wrong. Here are the facts. SB 709 was aimed at a significant problem: namely, it appeared likely that the Obama health care law was going to be unconstitutionally commanding state officials to carry out the regulatory duties created by Obamacare. This is a problem because, to put it informally, if a federal law tells federal government officials what to do, no problem; but if a federal law tells state officials what to do, that’s a big problem. In a nutshell, SB 709 required any state department or agency that implemented Obamacare to explain how that department or agency was justified under existing state law to take action. Furthermore, if there was no existing state law, then there could be no justification for action — and, therefore, no action. 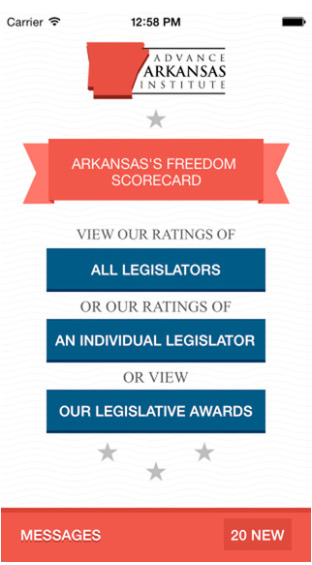 On Friday, Secure Arkansas misrepresented a fairly simple bill; it explained that SB 709, which (as discussed immediately above) would have regulated and limited the power of state government, actually “provides a back door access to providing Obamacare.” Secure Arkansas’s statement is, as a matter of legal analysis, completely groundless; the bill provided Arkansas no access to implementing Obamacare at all. Instead, SB 709 was simply an attempt to ensure that Obamacare remained within constitutional boundaries. In particular, the bill would have required state government to demonstrate that, whenever it was implementing Obamacare, it was proceeding constitutionally and lawfully; the bill simply required state government to issue reports to explain how its implementation of Obamacare was justified under existing state law. Again: under SB 709, if there was no state law that would have permitted some portion of Obamacare to go forward, then SB 709 would have stopped that aspect of implementation in its tracks. I was part of a working group that consulted on that bill, and I have to admit that I was surprised to be accused of helping to design a back door to Obamacare. I was just a little more surprised to read their statement, in a companion email, that “All of the sponsors and cosponsors of SB 709 have sold out.” Even assuming that Secure Arkansas understood what it was talking about (which in this case is false), those who want to pursue adult, cooperative relationships with others use such language at their peril. It’s not my style to criticize an entire group of people for the stupid mistakes of some of its members, but Secure Arkansas makes that difficult; it regularly issues unsigned statements. Regrettably, this unsigned statement can’t be understood as legal analysis, but only as something like a persecution fantasy. Can it really be true that the people in charge of Secure Arkansas, who fancy themselves to be conservatives who want to improve public policy, cannot be relied on to understand the plain meaning of a fairly simple piece of legislation? 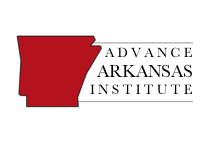 Can it really be true that the people in charge of Secure Arkansas are now attacking legislation that would regulate state government administrators so as to make sure those administrators stay within the boundaries of the Constitution? That is troubling.